event to Glens Falls this summer. take place August 20-25 at the Times Union Center. Aurora Games Women’s Hockey Week in Glens Falls. Games championship Friday evening, August 23, at the Times Union Center. the names when team rosters are announced in March. Digit Murphy, the record-setting coach from Brown University, will coach the Americas team. South Korean Olympic coach Sarah Murray will lead the World team. 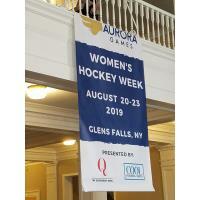 Women’s Hockey Week in Glens Falls is available online at auroragamesgf.com. information about the Aurora Games, can be found on at www.auroragamesfestival.com.